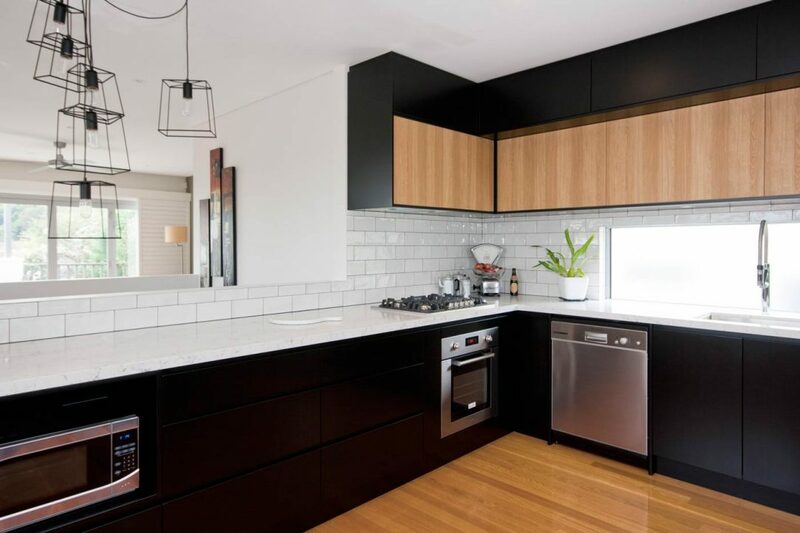 This delightful industrial style home in Lilyfield had a quirky and ‘lived-in’ feel, however the kitchen before was a little outdated and didn’t quite represent the eclectic, masculine style that was prevalent in the rest of the home. 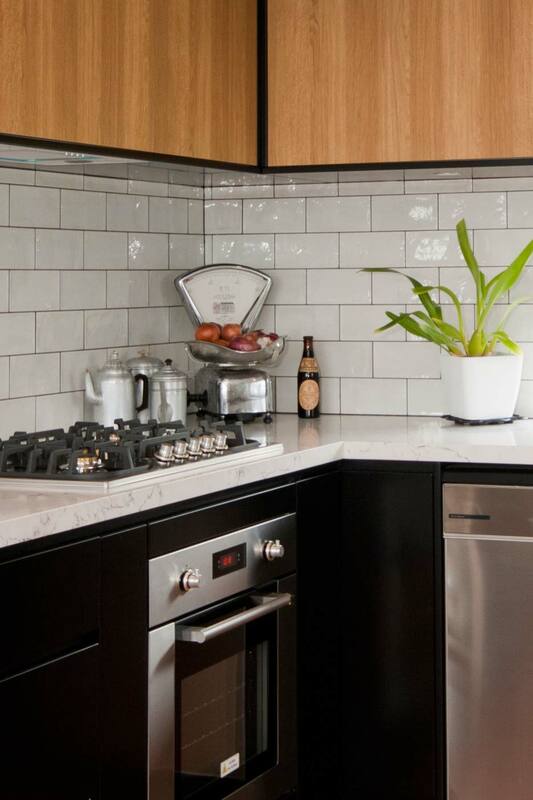 A wall was partially removed to provide a clear view into the living area and to create the feeling of more space. 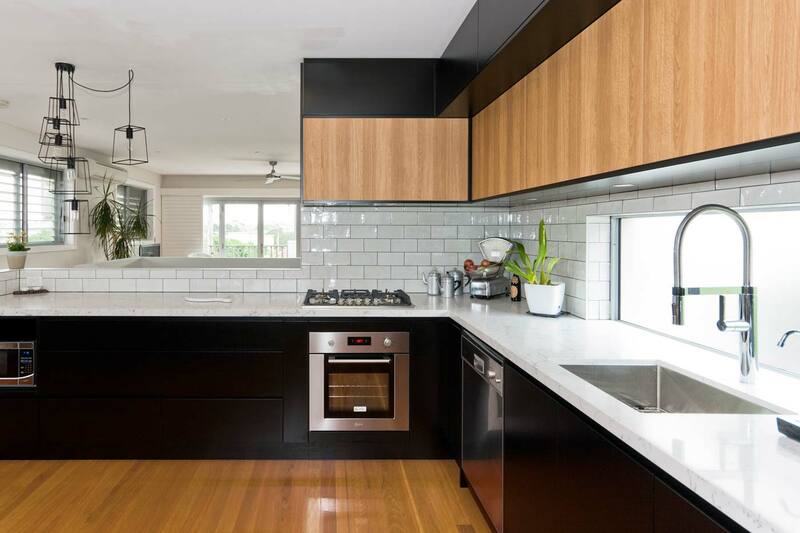 We love how the timber veneer overheads tie in with the polished timber flooring while the Caesarstone White Attica stone benchtop and white subway tiles on the splashback add contrast and freshness to the bold black cabinets.